Mackie is well known for their quality PA speakers and studio mixers. The quality of their studio monitors is on the same level as their other products. The MR624 has a solid build and great sound quality. These monitors offers a great value to beginner and intermediate producers. These unassuming looking speakers sport a 6.5” woofer cone and a sleek black design. At the top, you’ll see the 1” soft dome that are common on most studio monitors. The frequency response on these monitors ranges from 45 Hz to 20 KHz. While the range doesn’t extend much past the human hearing limits, it still covers the entire range of sound that you’ll need for music production. The bi-amped speakers are powered by a 40W LF amp and 25W HF amp. On the back, you’ll find some switches that will let you adjust the high and low by 1 or 2 dB. These can be helpful if you’re experiencing some sound issues in your room. Also on the back, you’ll find the XLR, ¼-inch jack, and RCA connection. The array of connection options will help if you’re connecting to a certain type of audio interface or mixer that has a specific out connection. One of the big strengths of these speakers is the value. I would classify these speakers as low-level beginner speakers (under $400 per pair) due to the price, but the specs are well above the other speakers in the same category. The MR624 offers great response that can’t be found on any other speakers around the same price. The woofer size is much bigger than other speakers in the same category as well. This delivers deeper bass and gives the user more control over the lower end of the frequency spectrum. The only weakness of these speaker is the that they don’t get terribly loud, but that applies to most beginner monitors. The low wattage amps can only deliver so much power to the drivers. If you try to push them too hard, the sound will distort and the transients will clip. 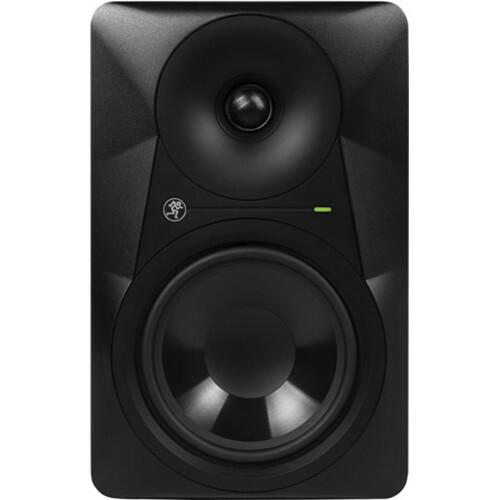 For the price, these are good beginner studio monitors. 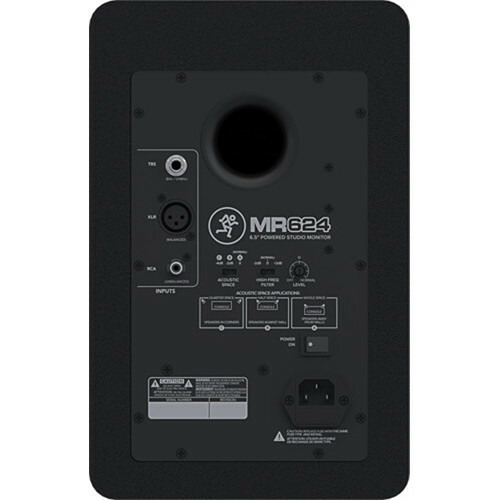 If you’re a producer just starting out and have a limited budget, the Mackie MR624 is a great monitor choice.